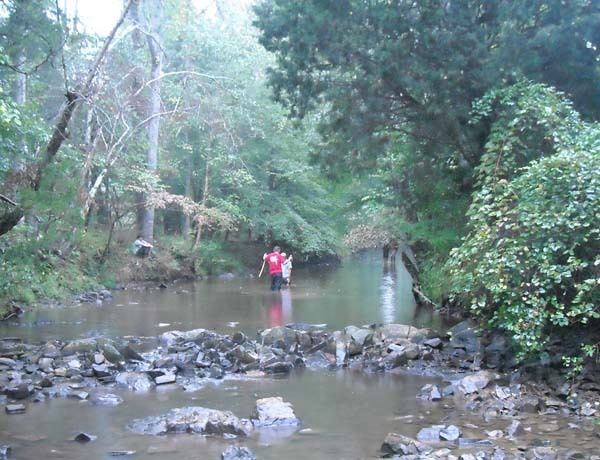 I teach Davidson's foundational geology course, Environmental Geology, as a blend between traditional Physical Geology and Environmental Geology. Topics include the scientific method, sustainability, minerals, the rock cycle, plate tectonics, earthquakes, volcanism, fluvial systems, coastal processes, mass wasting, soils, climate, glaciers, deserts, groundwater, and mineral resources. I will be teaching this again in the spring of 2012. The current textbook is Reichard's Environmental Geology. I also teach Surface Geology and Landforms which is a field based class focusing on geomorphology. The class is taught without a lab and instead meets once a week for a lab length period. This provides a lot of flexibility for the class to switch between lecture and going out in the field. 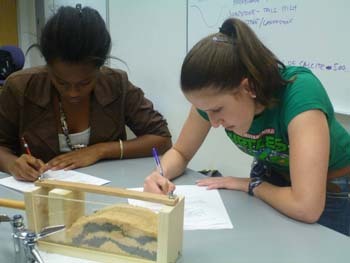 One of the three core courses within the Environmental Studies major, environmental science examines basic interdisiplinary concepts in earth science, chemistry, physics, and biology/ecology. The interdisiplinary nature of the class means that it is commonly team taught. Occastionally taught. Features a spring break trip to a geologically interesting location. Inaugural version in 2013 was to Death Valley and an interdisiplinary offshoot was taught in the spring of 2017. Examines the basic structure, morphology, and processes involved in soil formation. Then applies that information to landscape evolution and development.